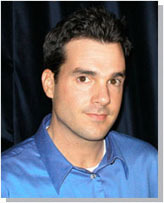 John Reese (TrafficSecrets.com) - Articles - How *Crap* Can Dramatically Boost Your Profits! You're about to discover something that I honestly believe can CHANGE YOUR LIFE. This is a concept that drives my marketing. This concept continues to make me a small fortune. Today I want to share this concept with you. "Crap can make you rich." Don't laugh. Let me explain. The beautiful thing about marketing online is that we can achieve RESULTS for anything LIGHTNING FAST. We can put up some Google AdWords, drive some traffic, and starting getting results in a matter of MINUTES. I can essentially write a sales letter, include an opt-in form, and create a little infoproduct to sell, all in less than ONE HOUR and have it getting results. Okay, so the product may completely STINK. i.e. it's CRAP. The sales letter may be nothing but CRAP too. And even if someone DOES order, they'll be getting that product which is CRAP and most likely will request a refund. Heck, after all, I only spent an hour on the entire thing. But none of that matters. The GOLD is not in the crap itself, the gold is in the RESULTS. Everything in marketing has a "Cause and Effect" -- everything. If you put up the WORST CRAP EVER right now on a web site, something WILL happen. And those results are what eventually drives a few hundred dollars a month in profit, and eventually produces several thousand dollars a month, and can eventually create a small fortune. Okay, so maybe your conversion rate will initially be 1 out of 1,000. That's okay. With enough data that 1 out of 1,000 will become a solid average and that site will CONSISTENTLY produce 1 sale out of 1,000 visitors. The point is this. There is tremendous value in a 1 out of 1,000 visitor conversion rate -- no matter what the price of the product is. No matter what the offer is. Why? Because it's GUARANTEED that you can IMPROVE upon it. You can make it better. You CAN get MORE people to buy. All you have to do is improve your marketing. Test small changes. Try a few little tweaks. Improve it little by little. Get better and better RESULTS. You will NEVER, that's right, NEVER, launch a site or any marketing that will be even 10% of "perfect". You're never going to launch a site that starts pulling a 10% conversion ratio, let alone 100%. So why are you spending SO MUCH TIME to get that latest project launched? What the heck are you waiting for? Know this... everyday that goes by without you launching your latest project is a day that you could be using to test and IMPROVE upon what that project produces. Yes, that means make you more money. Your project will never be perfect. You could have always made it better. You could have always done this or done that. "The biggest piece of crap ever created and launched online makes more money than an almost-perfect project that was never launched." Is my point getting through to you? The biggest mistake we entrepreneurs make is trying to make our little projects PERFECT before we are willing to launch them and see what they will do. This can be the "kiss of death" for our businesses. Because until we launch projects we don't get any RESULTS. What you need to realize is that RESULTS are the biggest ASSET to your online business. Even the CRAPPY RESULTS. Because the results are what tells us what is working and what isn't. And believe me, I've probably made MORE MONEY from the results I discovered about things that weren't working, so don't just think it's all about what works. So learn to produce projects on an ACCELERATED launch schedule. Just get the sucker to the quickest version that will allow you to launch it and start getting ANY results at all. Then spend your time IMPROVING on the results. Let's face it. Many of our projects FLOP. It just happens. People just won't buy enough of something to make it profitable. So we must move on and work on another project. Get it out there and see if that one starts making money. Repeating the process again and again. But think about what I just said and realize something. If you KNOW the reality that many of your projects will fail, why the heck are you taking so long to find out? It's probably the same reason *I've* often delayed things... FEAR. I'm AFRAID to see my "baby", my special project, fail. But since we've already come to realize that the reality of business is that some projects WILL FAIL, we just need to GET OVER IT. So get your projects launched absolutely, without a doubt, as quickly as possible. Get SOME results. Any results. THEN work on improving whatever those results are to increase your profits. If you are planning on doing JVs with people for your new product, or rolling out an affiliate program for it, the "JOHN REESE CRAP METHOD" (as I will call it) still definitely works. You put together your web site and product as quickly as possible. Go jump on Google and buy some AdWords traffic to point at the site. Start tracking the results -- no matter what they are. Make changes and TEST them. Continuously work to improve the results of the site. When you're able to get the site to a satisfactory conversion level, then and only then proceed with putting together JV deals and really rolling out the product. You know, the biggest kiss of death for an online marketer can be to launch a product with JV partners WITHOUT having first tested and improved a site's conversion. Do you think your JV partners are going to promote your next project if the initial one completely FLOPS and doesn't make them any money? Absolutely not. SO USE THE "JOHN REESE CRAP METHOD" AND PROFIT! 1. Create and launch crap. 2. Test that crap. 3. Improve that crap. 4. Make money with crap that eventually becomes non-crap. Seriously. Don't laugh. This process works. Again and again. It has made me rich. Learn it. Live it. Love it. Let crap make YOU rich.